For many years, Charlotte Johnstone has shared news from the fictitious Forbearance Presbyterian Church with readers of Horizons , the magazine for Presbyterian Women. 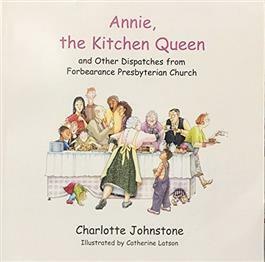 In Annie the Kitchen Queen and Other Dispatches from Forbearance Presbyterian Church , readers will find some of the most beloved tales from Forbearance. Both amusing and compassionate, Charlotte's portrayals of Presbyterians at their best (and worst) ring true for us all.